There is a $3 million gap in Minnesota State Parks and Trails’ budget. The Legislature could fix this by restoring the General Fund appropriation to $27 million. 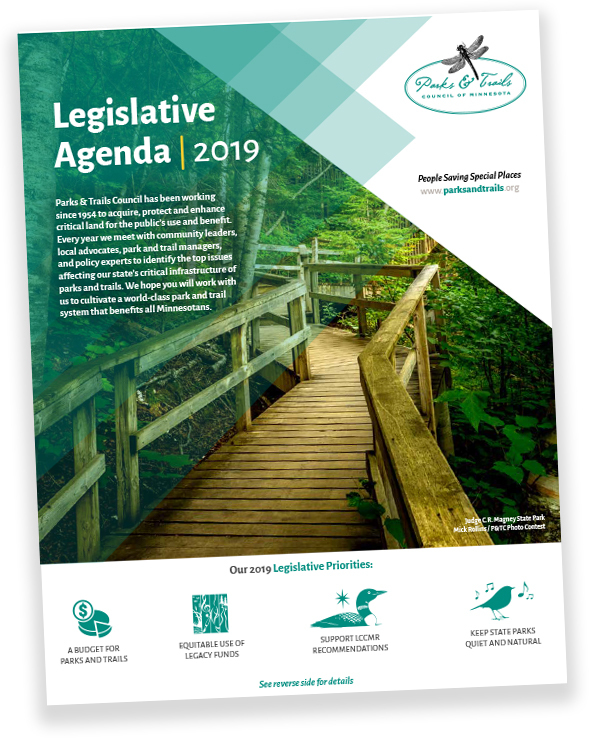 We support the concept of equity, coordination and balance between the needs and priorities of Minnesota’s three major park and trail systems. 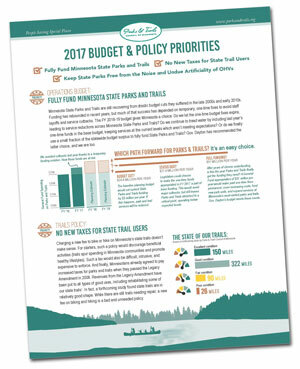 We believe future fund allocations should be a compromise agreed to by the Minnesota DNR, Metropolitan Regional Parks and Greater Minnesota Regional Parks and Trails. 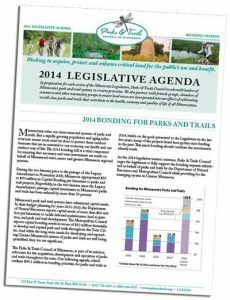 We support the full recommendation of the Legislative-Citizen Commission of Minnesota Resources, which includes $16 million to fund twelve park and trail projects. 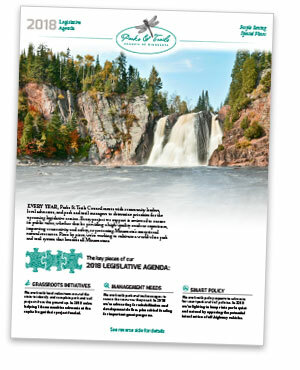 We oppose any change that would introduce the use of recreational off-highway vehicles in Minnesota State Parks. We work with local volunteers around the state to identify and complete park and trail projects from the ground up. 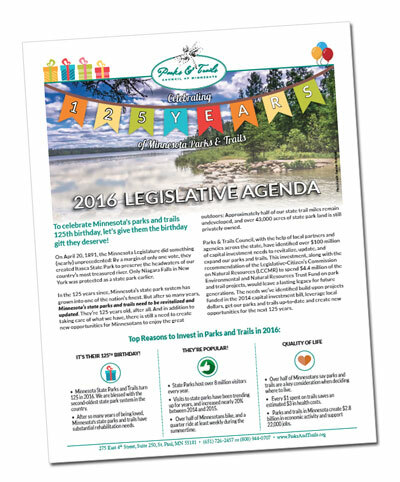 In 2018 we’re helping 14 communities advocate at the capitol to get their project funded. We work with park and trail managers to secure the resources they need. In 2018 we’re advocating for rehabilitation and development dollars, plus critical funding for important grant programs. 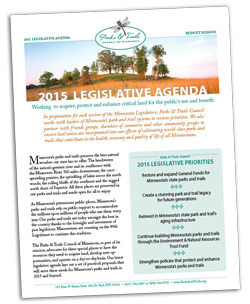 We work with policy experts to advocate for smart park and trail policies. In 2018 we’re fighting to keep state parks quiet and natural by opposing the potential introduction of off-highway vehicles. 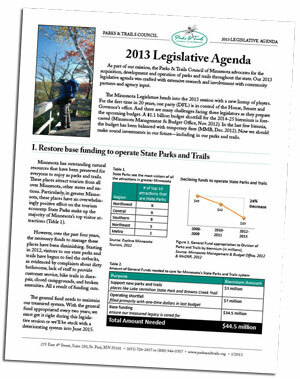 We support the DNR’s $77.1 million bonding request, plus an additional $10.95 million for the state trails initiative.